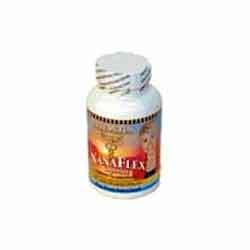 NanaFlex Review – Is This Product Safe To Use? NanaFlex is advertised as a completely side-effect-free, botanical health supplement that caters to joint pain and shows desirable results in only fourteen days. Its claim to fame is the ingredient NAG (N-Acetyl Glucosamine), which contributes to cartilage regeneration, supposedly making it leagues better than its competitors. Though there are no customer reviews or clinical trial results published on its official website, NanaFlex can easily be bought there online. Dealing with chronic joint pain through 100% natural NanaFlex is said to be the best decision you can ever make. According to the manufacturer’s website, you can already expect positive changes after taking two NanaFlex capsules twice a day for a series of days, but it may also take up to two weeks to actually witness optimal results. NanaFlex’s formulation is completely broken down and explained on the official website, and the manufacturer claims that it doesn’t cause any side effects. What are the Ingredients Used in NanaFlex? What are the Pros of NanaFlex? What are the Cons of NanaFlex? It has a lot of product claims that have a lot to do with speedy reduction of joint pain and swelling, claiming that in only a few days, changes can be felt. However, the customer feedback verifying these statements is nowhere to be found on the official website. It also doesn’t help that it is a bit more expensive compared to other joint health supplements, with users expected to cough up $60 for a bottle good for a month of use. It’s a good thing that there’s a 3-month money-back guarantee offered, so users can still give NanaFlex a serious try—other brands offer less time than that. Bottom line, it is expensive and low risk—whether you want to try it or not depends on how bad you need joint pain relief.